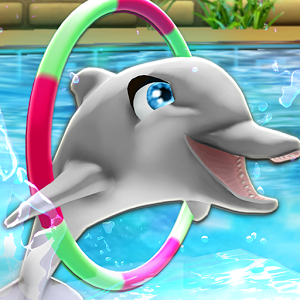 My Dolphin Show 7: The dolphin trainer and her dolphin are ready to impress the audience with a specular show. This is not a small aquarium, but a big show like you would see in Sea World or any other water park. New Jungle World with 18 levels.